If you're a superstitious type then you'll know that today is Friday 13th. Some scientists do actually believe that scientifically this day could very well be unlucky for some or for those cynical folk, just coincidence. 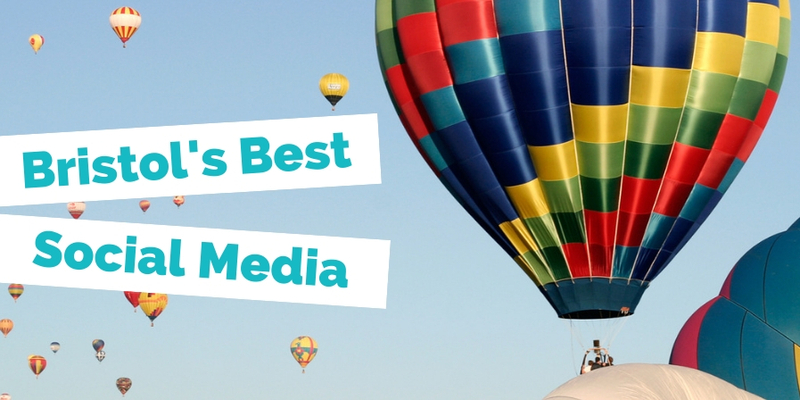 Either way, sometimes people and brands can be, even with the best intentions very unlucky. 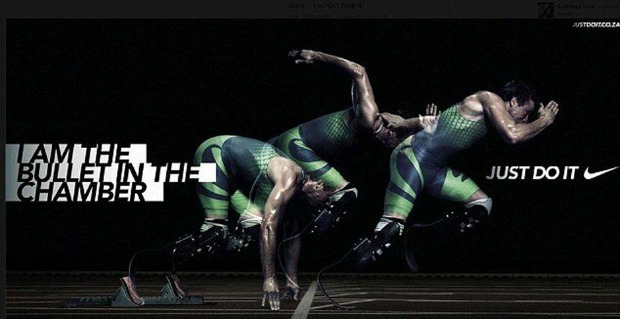 So as a tribute to this unlucky day we look back and bring you 13 campaigns that did not luck out for the brands. 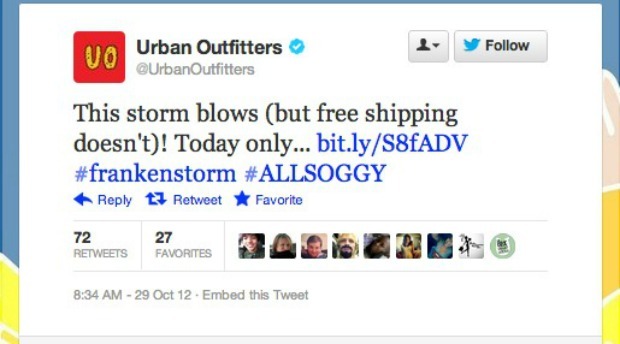 Urban Outfitters attempted to capitalise on hurricane Sandy, using the storm as a marketing ploy. They sent round an e-mail titled ‘Frankenstorm’ advertising free shipping complete with a GIF of cats and dogs running down the screen (this was at the point where the death toll had reached 74 and over a million people had no power, just to put that into perspective!) This email was followed up with a tweet saying all you needed to tweet for free shipping was #ALLSOGGY. A little tactless…. Kelloggs really put their foot in it by tweeting under the handle @KelloggsUK, ‘I RT = 1 breakfast for a vulnerable child'. Many followers were enraged saying that it suggested the company were only willing to donate if they received enough publicity. To be fair that really is what it looks like. Nothing like exploiting vulnerable children in an attempt to promote a brand! Nike were forced to go into crisis management in February when the South African athlete faced charges of pre-meditated murder following the shooting of his girlfriend Reeva Steenkamp. Nike suspended the $2 million dollar contract with the athlete. They also had to pull the incredibly unfortunately named adverts. Vitamin Water set up a campaign targeted at French and English speakers in Canada. It featured randomly generated words being printed inside the bottle tops in both languages, which customers could then put together to form phrases and send in for prizes. However, one women found the phrase ‘You Retard’ (Retard is the French word for late) on the inside of her cap. Since her son is disabled, she was outraged and even went on talk shows to vent her feelings (I mean honestly) and wrote angry complaints to Coca-Cola (who own Vitamin Water) that were then spread online. Coca-Cola were forced to grovel and apologise for this ridiculous blunder. In 2006, Abercrombie CEO wrote a controversial article about his target audience stating that Abercrombie "go after the cool kids... the attractive all-American kid”. The company still don't actually stock above a size ten for women. In response to this Jess Baker, who blogs under the name ‘militant Baker’ created her ‘Attractive and Fat campaign' which openly parodied Abercrombies style of photo-shoots for campaigns. The parody spread like wildfire across the internet turning Abercrombie into somewhat of a laughing stock. Waitrose attempted to harness the power of Twitter in hopes this would help generate positive tweets about the great services and prices in store. They did this by asking for people to finish the sentence; “I shop at Waitrose because…” followed by #WaitroseReasons. Unsurprisingly this backfired with people using it to name Waitrose as an upper middle class and overpriced store. For example, one customer claimed ‘I shop at waitrose because Tesco doesn’t stock unicorn food’. Another witty remarker said 'I also shop at Waitrose because I was once in the Holloway Rd Branch and heard a dad say “Put the papaya down, Orlando!”. Probably not the response Waitrose was hoping for. After the launch of the new British Airways advertising campaign ‘To Fly. 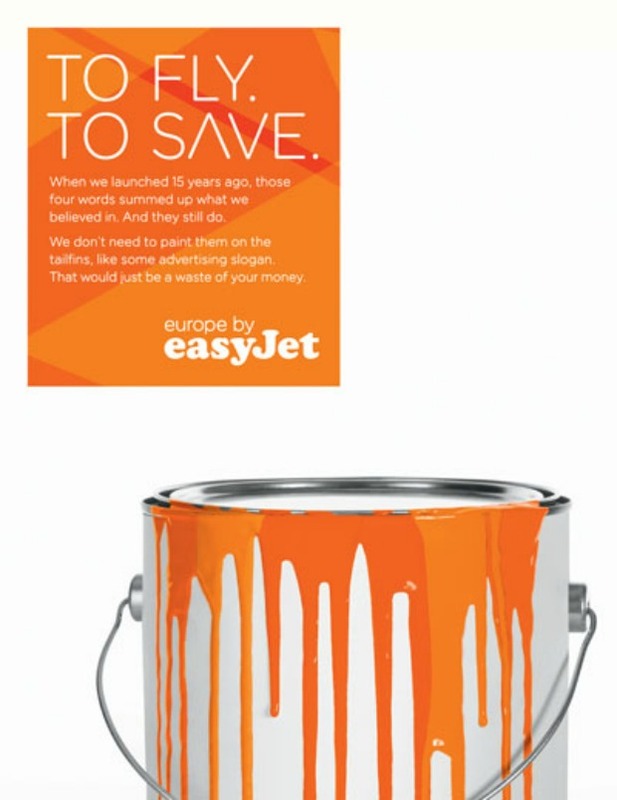 To Serve’ two years ago, Easyjet posted a spoof version of the posters titled 'To Fly, To Save' on it’s Facebook page and asked their fans what they thought. It completely backfired with hundreds of Facebook followers commenting that the ads were ‘jealous’ and ‘bitchy’. They do have a point… To this day EasyJet are still dealing with the repercussions. In an effort to expand their customer base, American Apparel launched an XL range and held a modelling contest to find a new ‘curvy’ model by allowing members of the public to vote in an online competition for the new model. This backfired, when a ‘plus-sized’ blogger submitted spoof photos of herself mocking the overtly sexual photoshoot style of the company by smearing herself in and rolling around in high calorie foods, like pie. The spoof pictures were voted to win the competition by a long shot but American apparel refused to use her as the model. They also sent her an unpleasant letter in the post which she proceeded to publish online on her hugely popular blog. Ouch. The day that British Gas announced that energy bills would rise by 10%, they thought it would be a good idea to take to Twitter and do a Q&A with the Customer Services Director. Turns out asking thousands of annoyed British Gas customers to tweet you a question won't end well... who'd have thunk it? 10. Skittles - They give your child cancer! Skittles attempted to integrate Twitter onto their website by importing all tweets with the hashtag 'Skittles' but didn’t think to employ a moderator for this new gizmo. Online pranksters soon caught on and started launching discussions about whether Skittles can cause cancer or whether the company is the root of all evil or connected to paedophilia. These discussions were showing up on their website on the live Twitter feed. To solve this, Skittles introduced an age restriction which excluded children- their main target market! All in all a bit of a disaster. This campaign doesn't really need an explanation but I would love to know who approved this ad campaign. I bet it took a lot of time and luck for Belvedere to recover their reputation and trust from their customers. 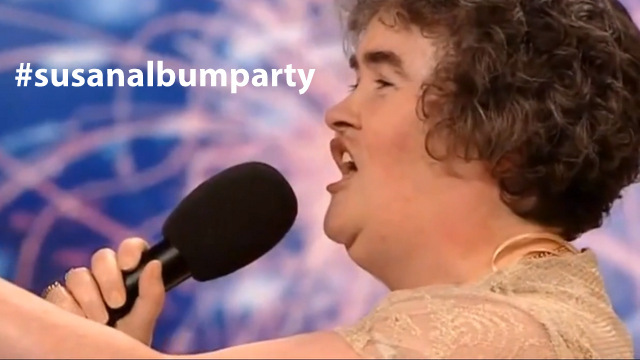 A year on and I still find this funny! The poor PR team that came up with this hashtag really didn't think it through. While it may have been very bad luck to begin with, it actually took Twitter by storm and may have even helped the album sales. 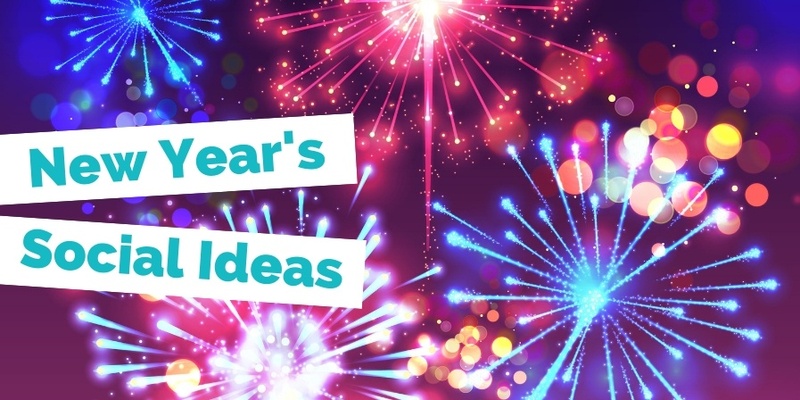 So with these unlucky campaigns in mind, if you're planning your next big campaign for 2014 make sure you have someone external check what you're producing. If it's going out in a different country, get someone locally to check the images and meanings. And last but by no means least, sense check your tweets. They may have a short shelf life but they can last a very long time when they go wrong!